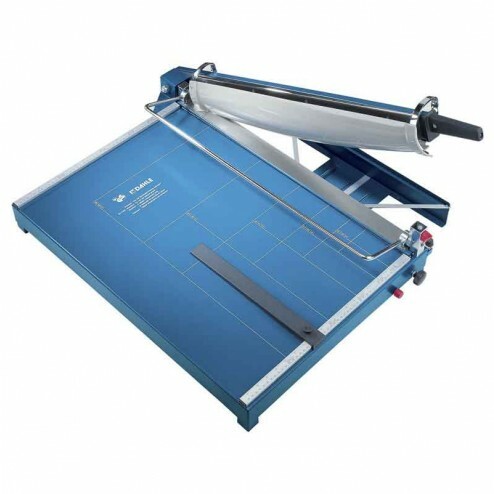 The Dahle 567 Premium 21 5/8" Lever Style Guillotine saves time and money. Dahle takes safety to a whole new level with it's line of Premium Guillotines. Designed and engineered in Germany, these trimmers feature a revolutionary safety guard that rotates around the cutting blade to ensure complete protection. This guard protects your fingers from a ground blade made of German Solingen Steel. Theblade sharpens itself with each and every cut so you're guaranteed to maintain a perfectly honed edge. Theautomatic safety shield, along with the razor sharp blade it protects you from, makes the Dahle Premium Guillotine one of the safest, most capable trimmers ever developed. 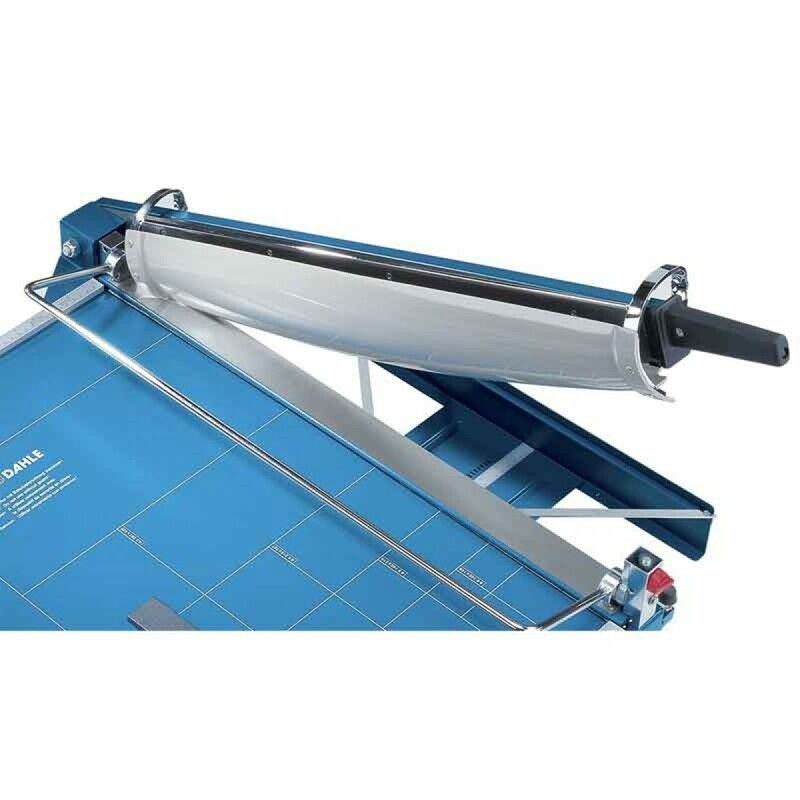 Dahle Premium Guillotines are commercial grade, high capacity paper cutters capable of trimming up to 35 sheets of paper at a time as well as mat board. Theautomatic paper clamp provides even pressure along the entire cutting surface and securely holds your work in place to prevent fanning.